We drove four similarly priced diesel cars from Mumbai to Kolkata - the 2013 Ford Ecosport, Honda Amaze, Chevrolet Enjoy and Mahindra Verito Vibe. The long drive gave us ample time and opportunity to review and compare these cars, basically push them to the limit, throw them into corners and turn them upside down. The idea was to compare the new Ford Ecosport with its market competitors. We present you the third of our four-part series, which includes the Ecosport going head-to-head with the three challengers and the magnum opus, a four-way showdown that concludes in Kolkata. 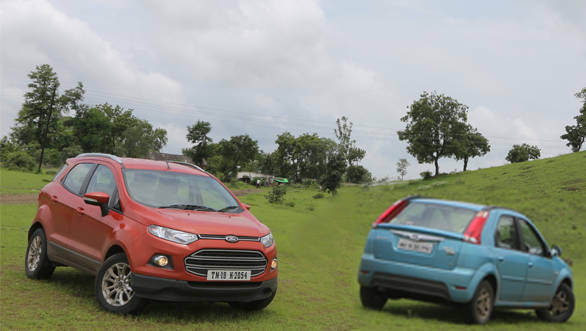 The EcoSport and the Verito Vibe are both innovative products from their respective makers; one's a sub-4m SUV, and the Vibe, a sub-4m sedan with a hatchback stance. But when it comes to looks or features, the Ford clearly is much better. The Vibe's familiar face clearly counts against it and the all new Ford easily looks way more modern than the Vibe. 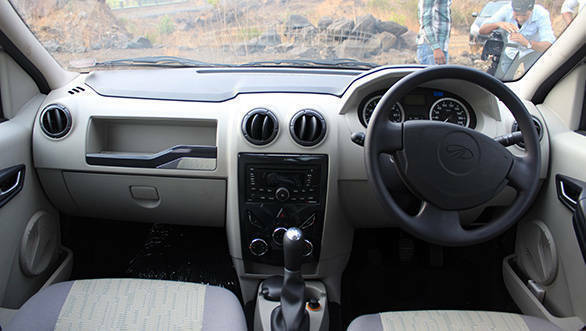 The Vibe's ergonomics and interiors are also easily bested by the quality of the EcoSport. The Ford gets everything from leather seats to Bluetooth telephony to six airbags. The Vibe makes do with just a driver side airbag, a basic music system and no real exclusive features worth talking about. The plastic looks better on the EcoSport too, and it also gets cushioned armrests on the front doors which is a boon on long drives. 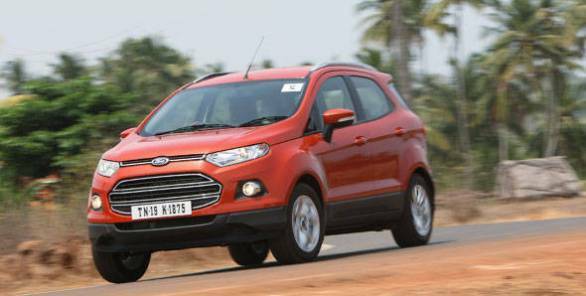 While the Vibe looks old and basic next to the EcoSport it's well put together. 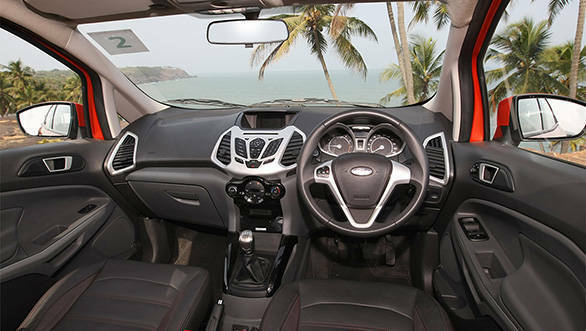 The interiors are more spacious and while one will struggle to seat three comfortably in the rear seat of the EcoSport, it's very easily done in the Vibe. It has comfortable seats too but the driving position, because of the low seat height and steering adjustment, is poorer compared to the Ford. The Vibe's ride quality also stands out. It was our pick when it came to ride quality on this drive and no matter how bad the road got, the Vibe somehow managed to flatten out almost everything. Its suffers on the handling front though and the EcoSport easily handles better. There's less body movement in all planes compared to the Vibe, especially pitching, and the levels of grip are higher too. Not that the Vibe feels at sea tackling corners, but the Ford feels a bit sharper, and slightly more willing and predictable. And because the Ford engine has better mid and top range grunt compared to the Vibe, it pulls better out of corners too. On other dynamic counts - steering and brake feel, and turn in ability - the two are surprisingly close. As far as the fuel-efficiency goes, the Vibe looses out to the Ford which managed to go almost a kilometre further per litre of diesel on the whole drive. We put this down to the difference in grunt of the two engines and the Vibe needed to be worked harder for similar cruising speeds. 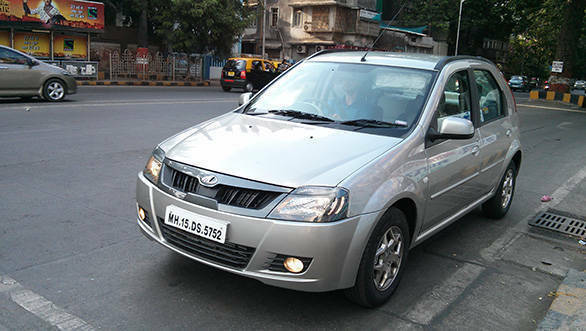 One can also hear the engine more inside the cabin in the Vibe and that detracts from the comfort factor a bit too.